We had an idea that it would be nice if we had matching bike shirts for the Lands End - John O'Groats trip. We had this idea far too late to get anything custom, so after a rambling email chain involving discussions about matching shirts to various coloured bikes we ended up chosing something classic, retro and black and while (incidently matching my bike...). 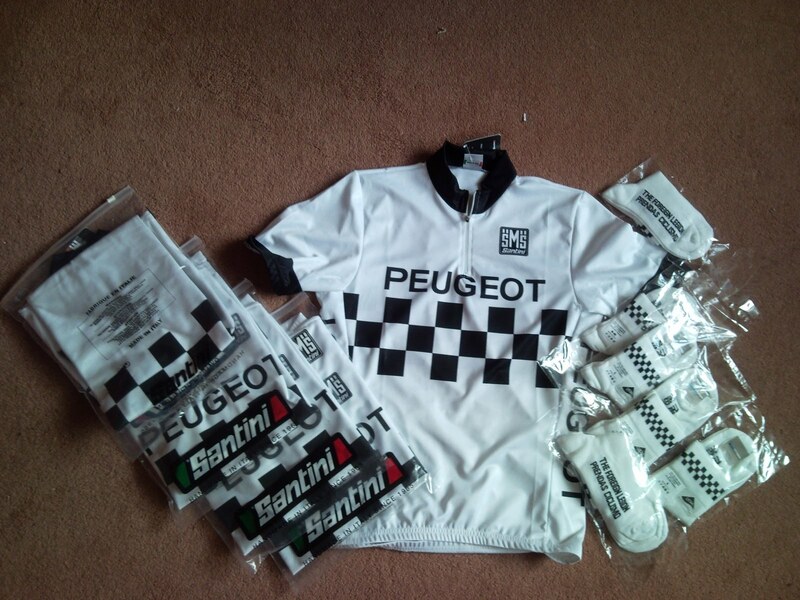 Phill went to Prendas Ciclisimo and picked up the shirts, getting £10 off each one and some free matching socks too! Thanks to Phill and Prendas too, they are very nice people. Classy, huh? I think we'll look pretty cool, in a 70s French kind of way.